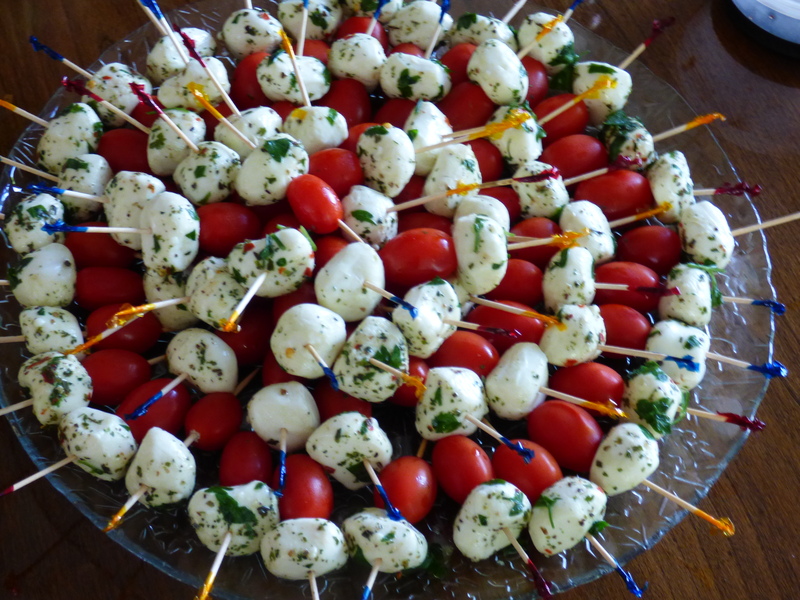 So many things to share… and this time, I hope to do it with pictures (well for the most part!)…. Here is a photo of me and my Dad. 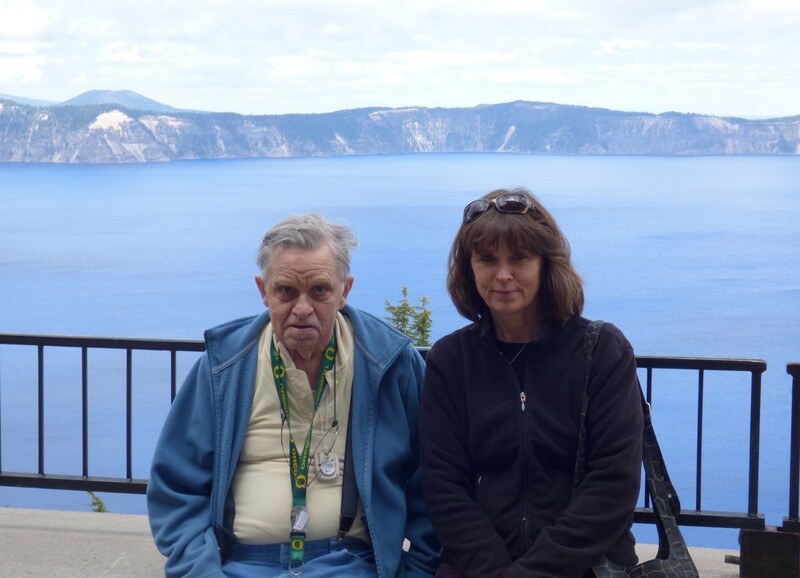 We took a drive to Crater Lake one Sunday… and he really seemed to enjoy it. I’d forgotten how cold it could be… even in the summer! Then, a few weeks ago, a group of friends, many of them Rotarians, met to bid farewell to Lucka, our exchange student from the Czech Republic. It was a wonderful year for her… and for us… and now Lucka is back home with her “real” family. 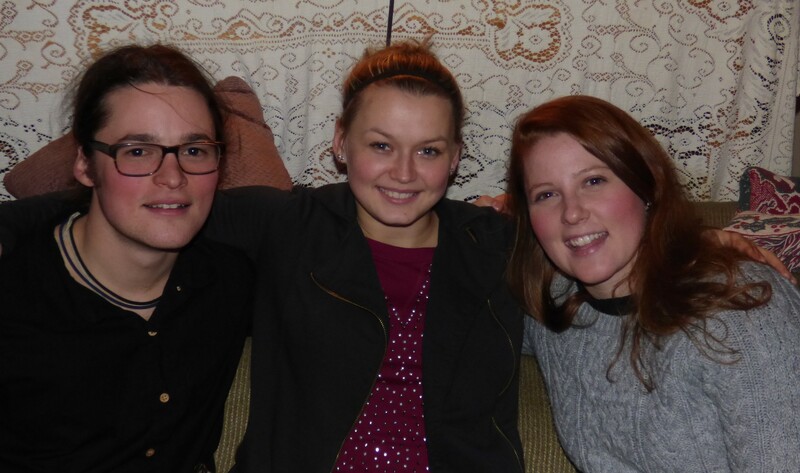 But we know that she made lasting friendships while she was here… and I’m sure it won’t be long before we see her again! 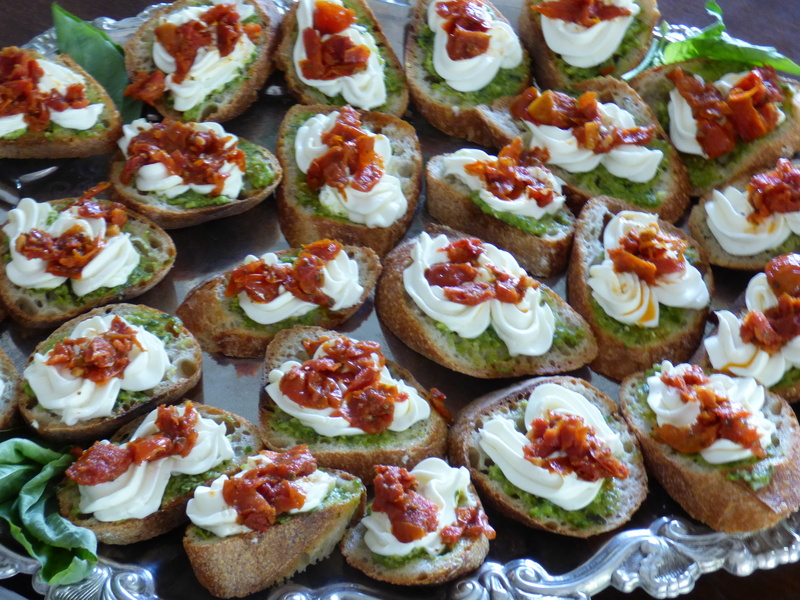 Recently, I’ve been lucky to have been asked by a few friends to cook for them… what fun! And of course I found time to make a few pies. 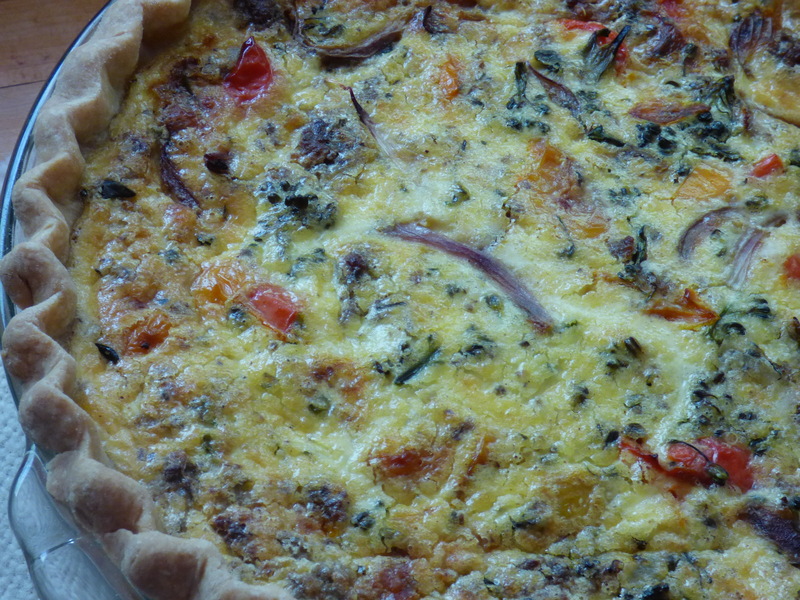 One pie, a sausage, roasted pepper, and broccolini quiche found its way to a friend who has MS. The high heat of summer makes her symptoms worse and so I thought this might be a way for her to enjoy a few meals without having to turn on the oven. 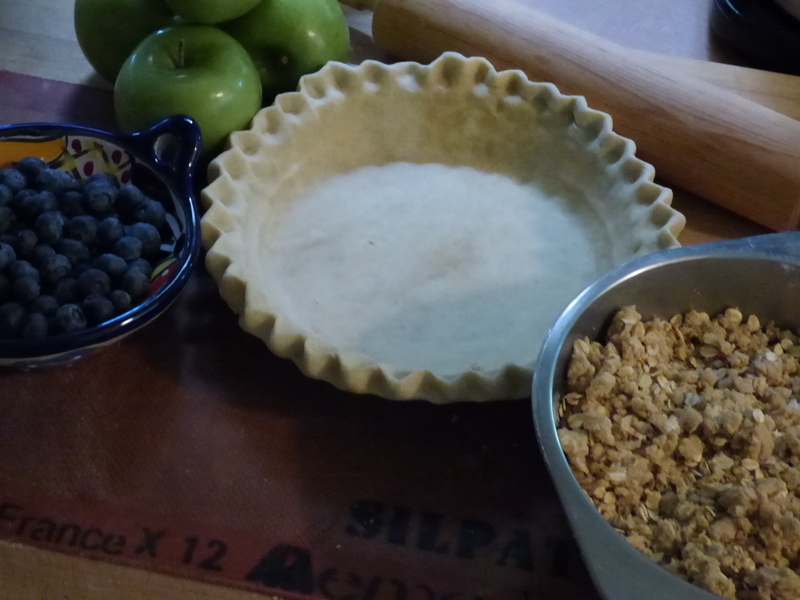 Another pie, an apple blueberry, was made for a friend who was first diagnosed with cancer 25 years ago. He is battling the disease once again, and I wanted to offer him something delicious – fresh from the oven… to feed his belly and his soul. We’ll be praying for you, Caballo! Lastly, I wanted to share a message from our friend, Len, who passed recently. He asked that rather than sending flowers, that his friends do something kind for a few other people instead. He wanted us to find people in need and instead of just giving them some food or money, that we also spend a few minutes talking with that person, asking their name, etc. The gift to them would then be greater because we would also acknowledge their identity and hopefully grant them some dignity… something we all need. My first “gift” was given yesterday. On a very hot day I sat for a few minutes with “Henry.” I met his dog and offered him a sack lunch and a cold bottle of water… which he said he would share with the dog. 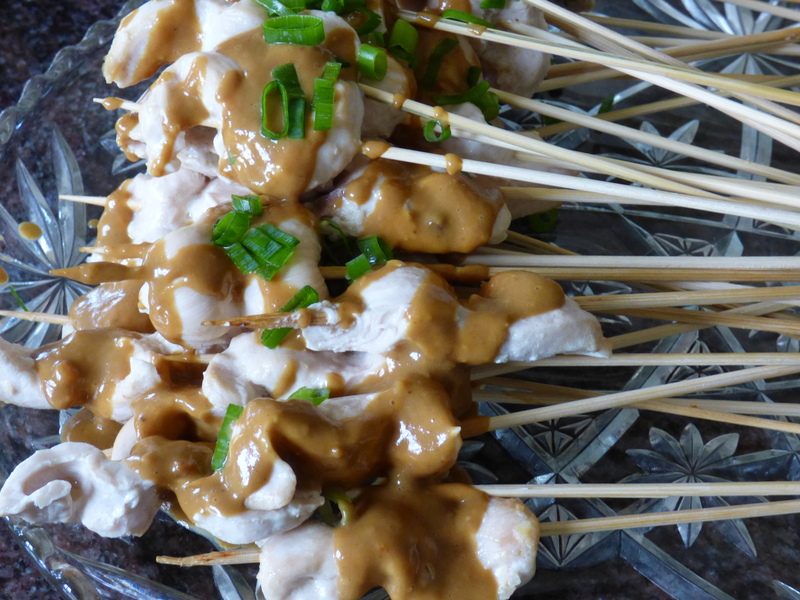 At first I wondered how it would go… but It was really so easy to do and, not surprisingly, it felt like one of the best things I’ve done all week. 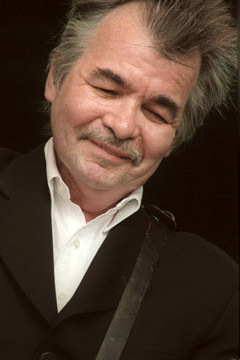 Here is a link to the song entitled, Hello in There, by one of my favorite singer/songwriters, John Prine, that shares a similar sentiment. Enjoy! Pies for so many reasons! The last few weeks have been a bit of a blur and for good reason. First my daughter , Alexandra, decided to come home for a brief visit before she began her new job (with Warby Parker!) and then my son, Coco, surprised me one night with a knock at our front door (he and his Dad were in cahoots about this). So, for about a week I was back in Mom mode (my favorite place) and let a lot of other things go. Well, except for pies. While she was home, Alexandra mentioned that she wanted to stop at her (and our) alma mater, Southern Oregon University, to visit with her adviser, Rene. 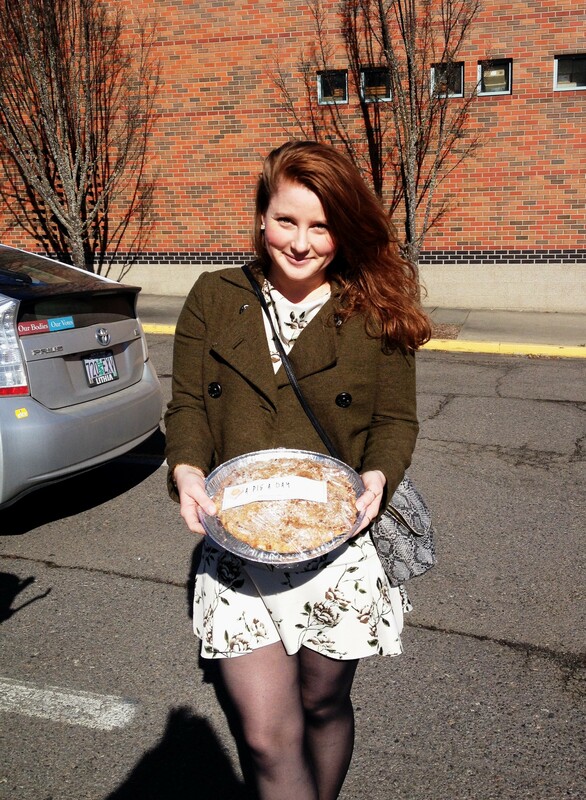 A perfect occasion to bring along a pie! The ingredients – apples, butter, flour, and sugar – came together quickly and as it baked we got ourselves ready. Soon we were heading over to the university on a beautiful day. 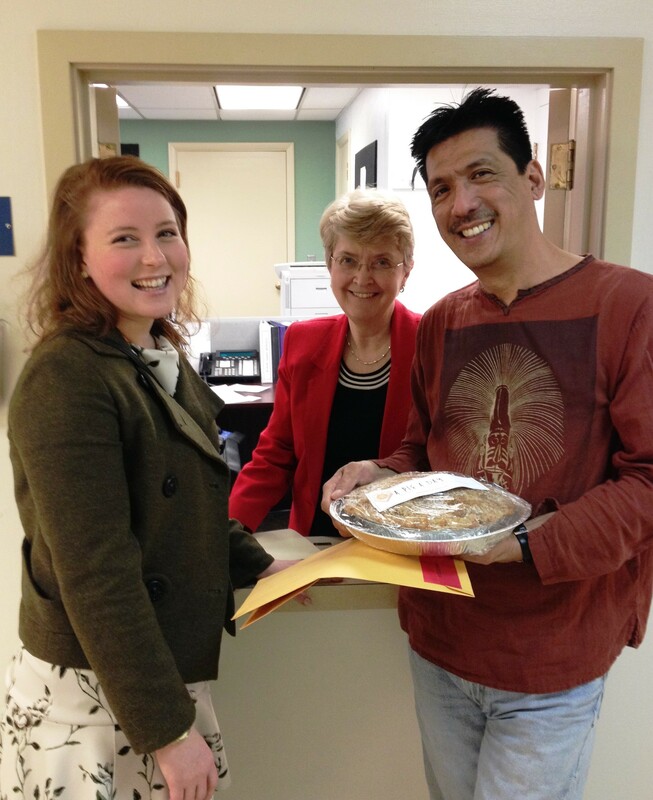 We were thrilled to find Rene (and office manager, Kathy) available to visit for a few minutes and they seemed happy to see us as well (or was it the still warm pie?) Alexandra is one of Rene’s first legacy students. He was a professor to her parents (Emile and I) twenty plus years ago and then was her professor as well. He still recalls seeing us carry her to school in the baby backpack. Thanks for everything Rene! One day during the week I noticed that my friend, Margie Cicerrella, was featured in the local paper. Margie is retiring after many years of working as a children’s librarian. Margie has been a driving force for literacy and among many other things spearheaded the “Welcome Baby Book Bags” program – a program designed to promote language development in infants by giving new parents a cloth bag filled with board books. For that alone, Margie deserves a million pies! 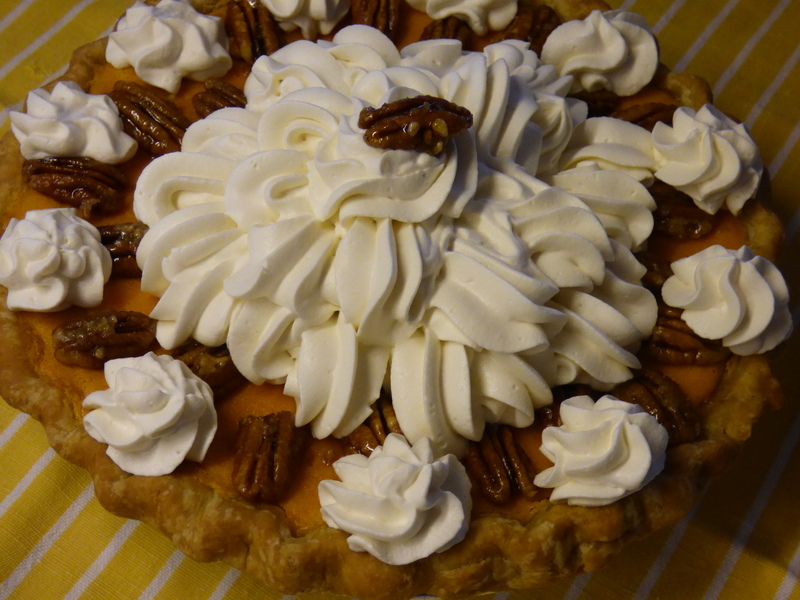 But alas, all I could do was bring her this one – a sweet potato and pecan pie. Thank you Margie for all the wonderful work that you’ve done! After a fun-filled week with Alexandra and Coco (cooking together, seeing plays at the Oregon Shakespeare Festival, and singing along to Coco’s guitar playing), sadly, they both had to return home. The first day after they left I must admit that I felt pretty blue. Fortunately, I had agreed to teach a friends’ troop of girl scouts how to bake a pie (and share my story of giving away pies) that very afternoon. At first, I was a little nervous but the girls were simply delightful. They listened to my brief talk and then the kitchen was a flurry of flour, pie dough, and pumpkin pie filling! Lots of questions were hurled at me, but I managed to answer most of them, and at the end of the afternoon, the counter was filled with pies. 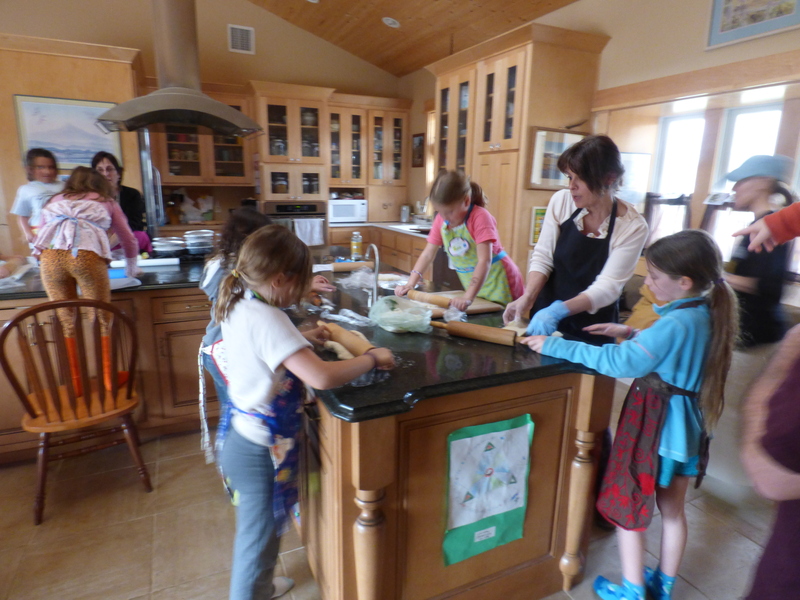 There’s nothing like making pie – and helping kids learn to bake – to fix the blues! 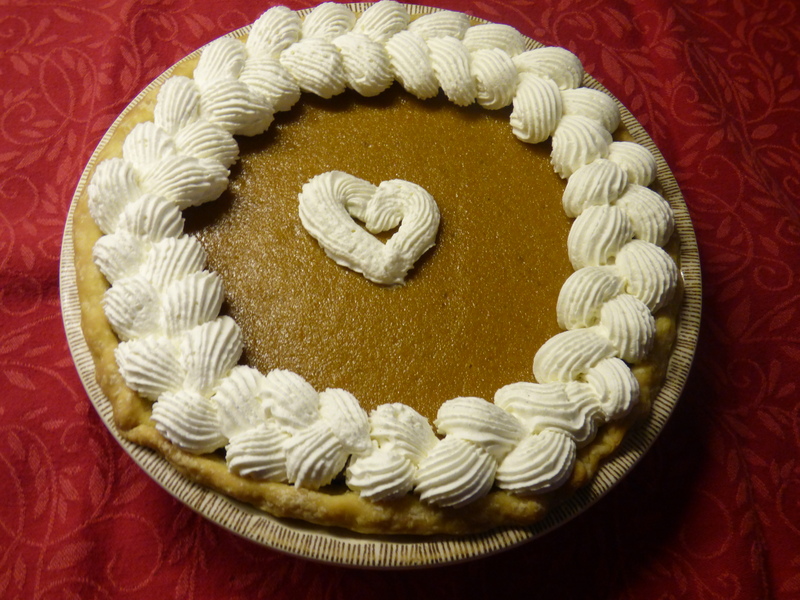 The last pie I made this week was for the family of an old friend who succumbed to cancer a few days ago. My heart aches for her husband and children and bringing them dinner and a pie felt like a way to ease their pain… and I’m sure my friend would love knowing that her family was cared for in this way.